Imagine a day without electricity! A day of power cut with no gadgets, no routers to connect to the internet, no TV’s or consoles for entertainment, no kettle to boil our water for tea and coffee, no fridge to keep our food cool and fresh… Chilled you to the bones, right? These are only a few instances. Modern lives are almost impossible without electricity. From simply lighting our homes to chargingour mobile devices we are completely dependent on power. But, unfortunately we have been misusing this boon. Over the year, with all our gadgets being charged up and left on standby the cost for powering has started to skyrocket. However, it is never too late to begin. There are certain things we can do to contribute to saving energy at home. With a joined effort, we can reduce the overall cost of power consumption. Solar Panels help a great deal to cut down power consumption. Install solar panels onto your house to capture the sunrays, It will convert solar energy into electrical energy. You can install solar panels by two methods. The first is to buy them and have them installed. But this method will cost you a lot of money. But the upside is for all the power you don’t use is fed back into the grid. You are paid for the amount you have generated. However, if you recouped the money you paid out for them, you will find that it will take many years to balance. The second option is to get free solar panels, with the same principle that they will power your household. Here too the power you do not use is fed back into the grid. But in this method, you do not get paid. Smart Power Strips is a new innovation to save energy. They lay between your device and power socket and if you leave something on standby for more than 10 minutes it will completely turn off the device. Keep in mind that if you leave things on standby like for example if you leave your mobile phone charger in the socket, they are still using electricity and will build up to a significant amount in a year. These power strips help you cut down a considerable amount of power wastage. You need more power during winters because of the long nights. Most people use traditional incandescent light bulbs to light their houses. But these bulbs are very inefficient as they consume a lot of power. They also do not have a long life span. 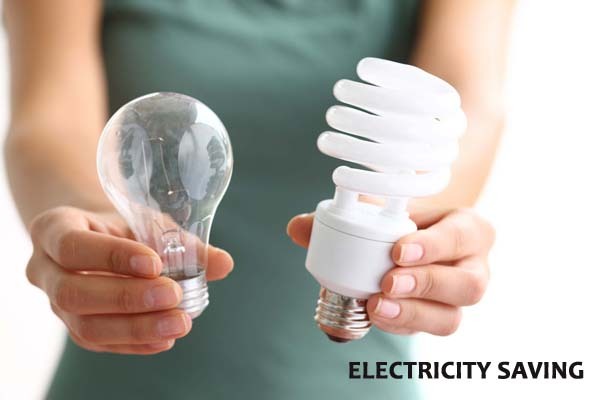 Use LED bulbs or even LED Strip lights for that matter to save lot more energy and money. Though LED’s are more expensive than the standard light bulbs but they consume much less power and have longevity. The standard light bulb last only about 1,200 hours compared to the LED life span of 50,000 hours. Therefore the cost of powering comes down automatically. The easiest and the cheapest way of all are to save those extra powers you waste every day. When leaving a room turn off the light, when not watching the T.V. or playing on your games console turn them off and do not keep anything on standby mode. But hang on! Do not get too excited and push too far. Like you wouldn’t want to turn off your DVR recorder completely else you will miss one of your favorite T.V. shows or turn off your fridge else a complete food disaster will follow.